Webinars are an incredibly powerful tool to train your employees, to cultivate leads, and provide valuable content for subscribers. They are also very popular because they offer a chance to learn from subject matter experts from the comfort of your home or office. If there’s a technical issue with any of these sources, the webinar will hit a snag. Here’s a worst-case scenario I had to deal with a few years ago: I was contacted by an organization to do a webinar for them. They were using a webinar platform that had to setup and facilitate the webinar for them. On the day of the webinar, the organization hosting the webinar learned that the webinar platform that was facilitating the webinar had made an error, and hadn’t scheduled the organization to be able to use their system on that day. So we had to resolve that. Then the person that was going to introduce me was late and no one could find her. Then when the webinar finally started, the platform kept crashing as I tried to move through my slidedeck. Needless to say, it wasn’t a very good experience for the attendees, for me, or for the host organization. Another problem with most webinars is the live Q&A that starts immediately after the webinar in most cases. Typically, attendees will submit questions during the webinar, then afterwards, the subject matter expert will answer a few that have been selected. The problem arises in the screening process. Since the subject matter expert is performing the webinar live, he or she can’t screen the questions coming in. So that duty typically falls to the people at the host organization, who often aren’t familiar with the topic of the webinar, and as a result they are forced to guess at what questions should be answered. As you can see, there are a lot of things that can go wrong with the average webinar. But here’s one simple thing you can do to greatly improve the quality of your webinar as well as the survey results you get from attendees: Let the speaker record the webinar and don’t force them to deliver it live. 1 – Live technical snafus by the speaker are eliminated. Instead of relying on the speaker’s computer to work properly, and their internet connection to remain stable, you just hit Play on a video, and it’s done. 3 – If the webinar is recorded, the speaker can screen questions while it’s playing. This allows the speaker to select better questions and also gives the speaker time to research her answers to improve feedback given. FYI, @MackCollier‘s #MProfsPRO Seminar’s Q&A just devoted 3 mins of personal coaching & therapy 2 me. #UShouldBeHere #Really Thanks, peeps! 5 – Better engagement from the speaker during the webinar means higher satisfaction from attendees. Let’s be honest, when we attend a webinar, we don’t expect the speaker to engage us DURING the webinar. It’s a big surprise, and often a big thrill. It makes us feel better about the webinar, better about the speaker, and better about the host. 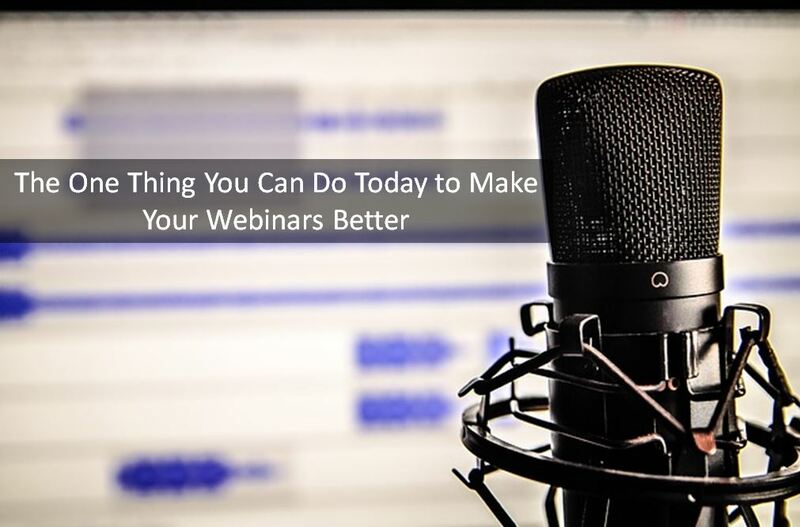 It also makes us more likely to attend future webinars from this same speaker and host. I’ve recorded my webinars for years, and I’ve been free to engage directly with the audience during the webinar. This has resulted in much higher satisfaction scores for my webinars and much happier clients who hire me. 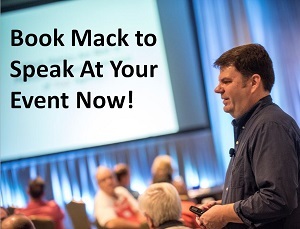 If you want to learn more about why my webinars are so successful, click here. i know how it feels when you are waiting for a webinar and it keep on giving some errors, however i have a friend who use live webinar with youtube and he never faced any problem however some sound errors are always there but that is a small problem.